Verbier: 2-family house "Summit". Above de Verbier, in the district of Esserts, 2.4 km from the centre of la station, in a quiet, sunny position, in a cul-de-sac, south facing position. Private: with lawn. In the house: sun terrace, storage room for skis. Linen change (suppl. charge extra). Towel change (suppl. charge extra). Motor access to 80 m from the house. Stepped path to the house. Communal covered parking at 80 m, public parking 3 km. Shop 2.4 km, grocery 1.9 km, supermarket 2.7 km, restaurant 2.4 km, bar 2.4 km, bakery 2.3 km, café 2.4 km, bus stop "Malénaz" 500 m, indoor swimming pool 3 km. Golf course (18 hole) 900 m, tennis 3 km, riding stable 3 km, sports centre 3 km, chair lift 900 m, gondola lift 1.5 km, skisport facilities 2.8 km, ski bus stop 50 m, ski school 2.9 km, ski-kindergarten 2.8 km, children's playground 2.4 km. Please note: car recommended. 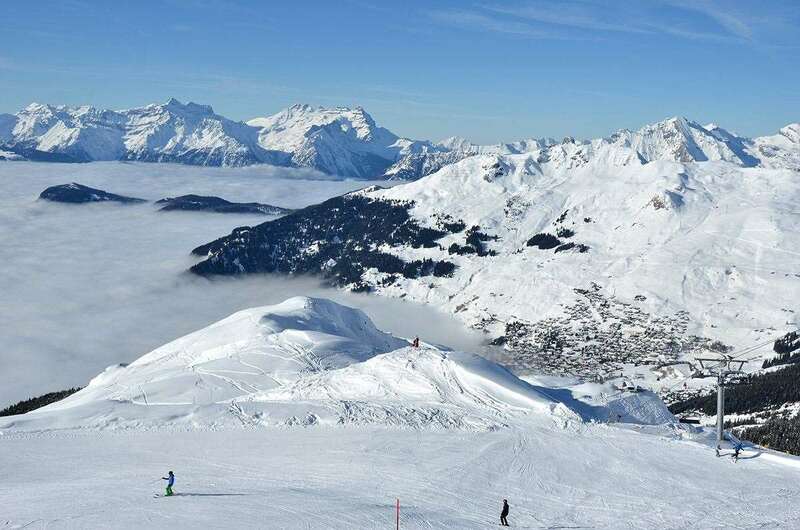 Free ski bus service to the ski region Carrefour 900m, Savoleyres 1.5km and Médran 2.8km. Please note: nightclub/disco 2.4 km from the property. "Summit Rez", 3-room apartment 76 m2, on the ground floor, south-east facing position. Practical and beautiful furnishings: living/dining room, south-east facing position with open-hearth fireplace, dining nook and cable TV. Exit to the terrace, south facing position and east facing position. 1 room, south facing position with 1 double bed. 1 room, north-west facing position with 2 beds. Open kitchen (oven, dishwasher). Bath/WC. Terrace, south facing position and, east facing position. Terrace furniture. Beautiful view of the mountains and the countryside. Reserved parking (roofed) at 80 m, height 180 cm. Please note: non-smokers only. 1 small pet/ dog allowed. When there is enough snow. possiblity to ski in and out of the house.